The largest capacity 27 in. 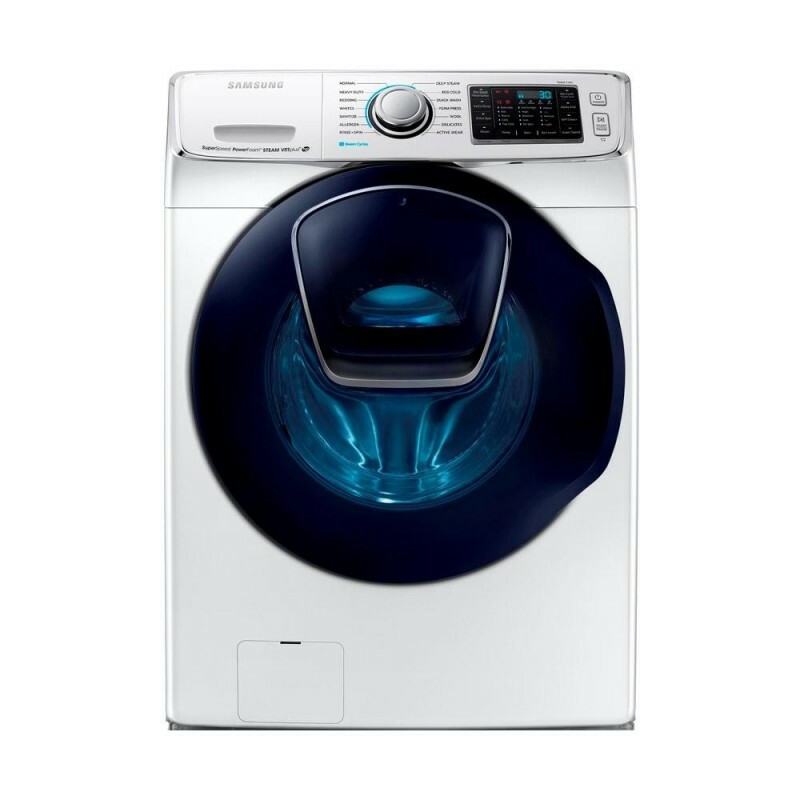 front load washing machine lets you wash over 3 laundry baskets in a single load to save you time and energy. 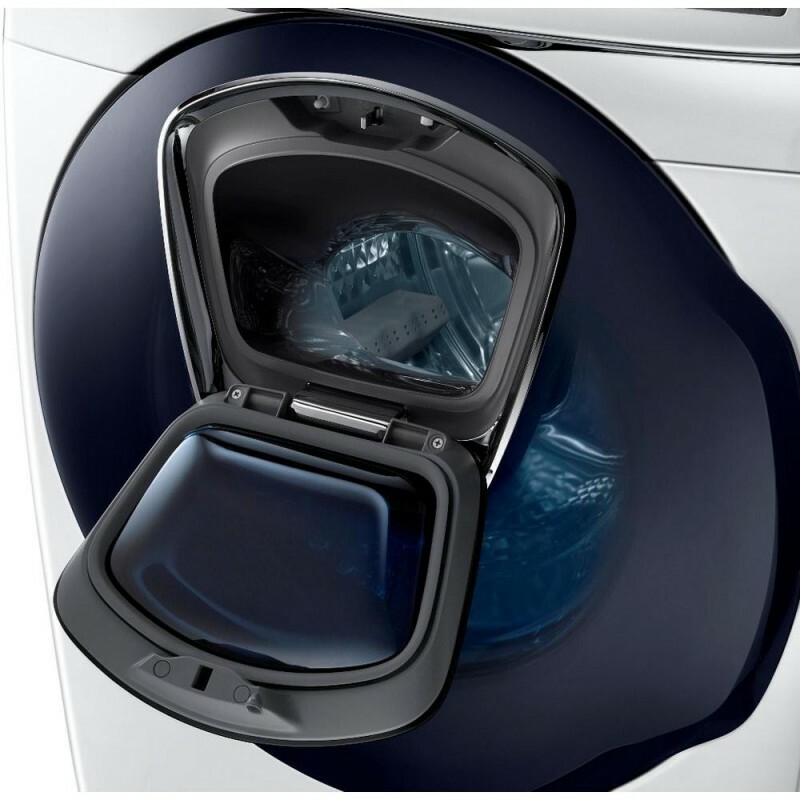 The AddWash door lets you conveniently add in laundry after the wash cycle has begun without having to restart. Super Speed uses breakthrough technology to provide a 50% faster and thorough wash cycle. Plus, Steam Wash for powerful washing, VRT Plus Technology for balancing heavy loads and reducing noise, and Self Clean+ for keeping your washer machine clean with reminders every 40 cycles. Wrinkles All the Clothes We got this washer and corresponding dryer a little over a year ago and haven't gotten around to leaving a review until now. It has worked fine except for the major fact that all of our clothes come out heavily wrinkled EVERY. SINGLE. TIME. (see photo) We haven't had this problem with any other washer/dryer before, and it occurs no matter what the setting or load size. It's really annoying to have to iron everything, or resign to wearing very wrinkly clothes. One of the Best Front Load Washers I'm happy with the washer. I bought it in November 2017. If 5.0 is too big there is a 4.5 sized washer instead. Its my first time installing and was straight forward if you like working with your hands. I used braided steel hoses instead of the rubber hoses as the minimal standard to avoid burst hoses in the upstairs laundry room. The washer is ideal near bedrooms and has a larger load capacity compared to a top load agitator washer. It will take more time to wash thoroughly but overall is more efficient while being gentle and quiet. I used anti-vibration pads underneath the washer. Highly Disappointed This was my first pair of Samsung washer/dryers after having Kenmore all of my life. I am familiar with HE, front loaders, etc. Having a nicer laundry room when we moved, we upgraded to these for larger capacity. Now, having them for 18 mos., I wish I could go back. I did my homework and had good reviews but this washer just isn't great. I've already had the struts and shocks replace with another service call tomorrow to check on a leak. This washer also, switches over to self-clean operation on it's own. It's happened way too many times for it to be operator error. I am really disappointed with this washer for the money we spent. Noisier than my old LG Overall a good machine. Seems to wash just fine and it looks really nice. That said, my old LG was quieter when running and just seemed better quality (for example, when the door closes on the Samsung its really loud and clunky, on my old LG it was a very soft close). The add items feature is nice and I definitely do use that. One other thing I don't care for is that it stays in the mode you last used as opposed to reverting to "normal wash" once turned off. So I've had several loads that i have unintentionally washed in speed mode or as delicates because I am used to it resetting to normal once the current load is done. Otherwise no complaints. Beautiful washer and bonus big size Love this washer. I can now put my Cal King comforter to wash without fearing that it will kill the motor like my old top load washer and it fits without having to really compress it in there. It is also water efficient and love the steam and sanitize features as it gets rid of oders and germs like for pet or children accidents. No issue with mildew or oder. We always leave door open to dry out drum for a day. Also nice feature but really not a must have is the front little door. Used it many times but could have also opened the main door. Glad we went with the bigger size.